I'm not a great expert on this subject, but when it comes to obesity; "I know it when I see it"
Fat dogs and cats live about one and one half years less than normal weight pets on average. They not only don't live as long ... but while they are alive they are much more likely to be uncomfortable and have more arthritis, more heart disease, more diabetes, more pancreatitis, more fatty tumors and more fatal transitional cell cancers. Fairly new medical information indicates that obesity IS A DISEASE ... not just a lack of self discipline (in humans) or over feeding in pets. -Spaying and neutering reduces caloric requirements by about 25%. 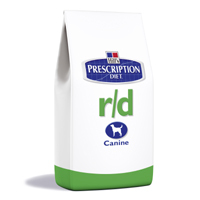 The recommended feeding guides on the bags of pets foods don't take this into account. -Too little exercise and too many calories. By far, the main cause of obesity. -Once the number of fat cells in the body are increased they can become smaller with diet and exercise but they never go away unless surgically removed. Once fat cells multiply in size and numbers they become active producers of enzymes and hormones. 12 different enzymes and hormones have been identified so far. Unfortunately, the hormones and enzymes produced by active adipose tissue tend to do unpleasant things like cause inflammation throughout the body, and it causes increased release of fatty acids, glycerol and fatty deposits in the liver, pancreas, and muscles. Further, these hormones retard the burning (or hydrolysis) of fat ... making it more difficult to lose weight. Most important new finding; obese animals (and people) don't respond to Leptin normally. Leptin is a hormone produced by the intestinal cells that tells the brain you're no longer hungry. Does this new information make any difference in what we recommend? Well, it helps explain why it's so difficult to lose weight. And with a little luck, further research will lead to medications that help reverse the proliferation of fat cells. Pfizer was the first to market a medication deemed safe and effective by the FDA (for dogs only) but have recently stopped selling this new drug (Slentrol), apparently for commercial reasons (lack of sales). Blood work: It's important to rule out underlying medical problems such as diabetes, liver disease, pancreatitis, chronic infection, and thyroid disease. it's also important to get a base line of liver enzymes because an elevation of liver enzymes is the main potential problem (not a common problem) in using the new weight loss medication. I recommend this diet for fat cats and dogs because they seem to like it better than most super low calorie diets and it works given time and patience. 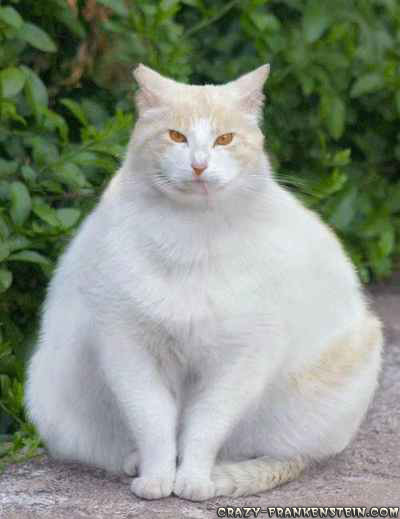 Most pets lose at least 10-12% of their weight over a year. Increase stool volume is the only negative. In addition to using R/D diet, we also recommend switching to low calorie treats and increasing exercise. 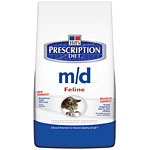 M/D diet is a high protein, low carb diet based on the Atkins Diet and has proved fairly successful in both dogs and cats. 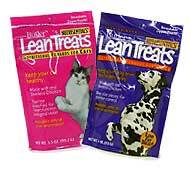 There is usually significant weight loss in about 6 months.... assuming your pet isn't getting too many additional treats. I'm becoming more and more impressed with this diet for weight loss. Hill's T/D Tarter Control Diet: This diet is designed for helping to remove tarter from teeth but it also makes a great, low calorie treat since dogs like this diet so much. Come in for a free sample. rice cakes, melon, green pepper, green beans, carrots, cheerios, canned pumpkin, and non buttered popcorn. Prozac like drugs: Some vets are recommending medications that help break compulsive eating habits in some of their patients. I think they are quite helpful in many cases ... but only when combined with the most effective weight loss diets and exercise. Pets that are too thin or too heavy are serious health risks. 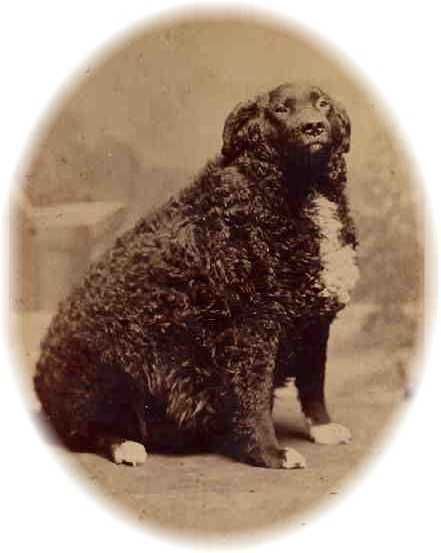 This page is about the special diets and supplements we recommend to help pets lose weight. My favorite dieting recommendation for both people and pet dogs and cats: fasting one day a week. This is not just good for weight loss but is healthy for the bowel and for humans, good for mental and religious discipline.